Urging men and women of goodwill everywhere to lend their voices to the cries for help of the Cuban people. Mobilizing democratic governments around the world to institute policies toward Cuba that promote genuine reforms. Dr. Cruz Taura teaches history of Cuba at Florida Atlantic University. Her scholarship on Cuban history and culture ranges from early colonial history (‘Espejo de paciencia’ y Silvestre de Balboa en la historia de Cuba) to recent affairs (Rehabilitating Education in Cuba: Assessment of Conditions and Policy Recommendations). A Yale University scholar, writes often about Cuban politics and culture. His memoir Waiting for Snow in Havana received the National Book Award for Nonfiction. He is the author of several other books, including A Very Brief History of Eternity (Princeton University Press, 2010), and Reformations: The Early Modern World (Yale University Press, 2016). A Senior Fellow at the Council on Foreign Relations, Mr. Abrams covers the Middle East and human rights around the world. He writes “Pressure Points,” a CFR blog, about those subjects. He served as Assistant Secretary of State for the Western Hemisphere and for Human Rights in the Reagan administration and as a Deputy National Security Advisor for President George W. Bush. The Director of the University of Miami’s Institute for Cuban and Cuban-American Studies. Has written many articles and several books, including Cuba: From Columbus to Castro and Beyond (Potomac Books). Dr. Suchlicki is often interviewed by TV, radio, and printed media on Cuba and Latin American politics. One of his latest reports is Doing Business in Cuba: Investors Beware. Served as American Ambassador to Panama, Honduras, and Portugal, and as director for Latin America and the Caribbean at the National Security Council. A retired career Foreign Service Officer with a lifelong interest in Cuba, he has been interviewed by print and electronic media and written articles on the island and its people. He lives in Connecticut. William T. Bryan Professor of Hispanic Studies at the University of Kentucky in Lexington. Among his books, the noted Bienes del siglo: sobre cultura cubana, and Fernando Ortiz: contrapunteo y transculturación, about one of Cuba’s indispensable thinkers. Dr. Santí follows on a day-to-day basis developments in Cuba and U.S.-Cuban relations. An economist and founder and chairman of DevTech Systems, Inc. who served in Cuba’s Planning Board under the revolution. He monitors and writes about the Cuban economy, Cuban society, and Cuban foreign affairs. Dr. Sanguinetty is a former president of the Association for the Study of the Cuban Economy, a widely respected organization of economists and experts on Cuba. One of his most recent books focuses on the complexities of the issues of a Cuban transition to a market economy. Professor Emeritus from East Tennessee State University and a Founder and former President of the National Association of Cuban-American Educators (NACAE) and former President of the American Association of Teachers of Spanish and Portuguese. Dr. Zayas-Bazán has lectured on U.S.-Cuban relations, the Bay of Pigs Invasion, Cuban culture and society. He is also the author of a novel set in the early days of the revolution, El pez volador (“The Flying Fish”). He participated as a frogman in the Bay of Pigs Invasion, was wounded, and served a year in prison before being ransomed by the U.S. government. Associate Director of Florida International University’s Cuban Research Institute and a member while in Cuba of the Cuban Committee for Human Rights, the first independent human rights group in Cuba. Mr. Arcos has been interviewed by radio, TV, and printed media on Cuban politics and society. He has also written opinion articles on Cuba. International Secretary of the Cuban Democratic Directorate organization, has been interviewed by TV, radio and print media on Cuba. Based in Miami, he holds degrees from Florida International University and Chile’s Universidad Francisco de Vitoria. He has testified before the Inter-American Commission on Human Rights and the United Nations Human Rights Council in Geneva. Since 2009 he has maintained the blog Notes from the Cuban Exile Quarter. A former Assistant Secretary of State for the Western Hemisphere and American Ambassador to Venezuela, he appears often on TV and has written extensively on Cuba, Venezuela, and Latin American issues. He lives near Washington in Virginia. Executive Director of the Center for a Free Cuba, has appeared in many TV and radio interviews and written numerous opinion columns; during 2016 in The New York Times, United Press International, the Miami Herald, 14yMedio, and Ft. Lauderdale’s Sun Sentinel. Based in Washington, he holds degrees from Rutgers and Georgetown and has testified at the United Nations in Geneva and before Congressional Committees. A pro-democracy activist who has led civil society activities in Cuba since 2009. A physicist graduated from the University of Havana, she participated in Georgetown University’s Global Competitive Leadership Program. In Cuba, she was part of the Coordinating Team of the Christian Liberation Movement (MCL) and worked with Somos Liberación, and the Catholic magazine IXTHYS. Since 2013, she has participated in several international fora such as the UN Human Rights Council, the European Parliament, the U.S. Senate, the Organization of American States, the Summit of the Americas, and several national parliaments. 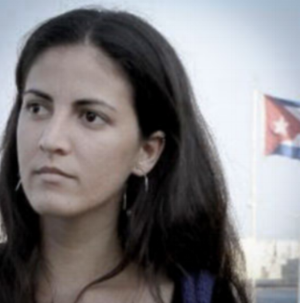 She works to promote solidarity with the Cuban people and to seek justice for the murder of her father Oswaldo Payá, winner of the European Parliament’s Sakharov Prize and 5-time Nobel Peace Prize nominee. She is the coordinator of Cuba Decide, an international campaign that seeks to carry out a plebiscite in favor of the first free and multiparty elections in Cuba in 67 years. The founder of Mastrapa Consultants, she specializes in confiscated property claims and restitution. Her clients include historical owners and heirs as well as foreign investors. Dr. Mastrapa speaks frequently on transitional justice, privatization and restitution mechanisms, and looted artworks. Her publications address foreign investment protection, privatization, artwork recovery, genocide and confiscation, and the role of Communist secret police and intelligence operations in discrediting exiles and prodemocracy activists on the island. She has been interviewed and quoted by international media such as Armenian Public TV, BBC, BBC Mundo, El País (Madrid), El Nuevo Herald, and others. Dr. Mastrapa was educated at Boston College, The Fletcher School and the University of Miami. President of Mothers & Women against Repression (M.A.R. por Cuba), a non-governmental organization dedicated to the promotion of human rights and democracy on the island. She was on board the only plane that made it back to base on that fateful day, February 24, 1996, when Cuban Migs -under orders from Fidel and Raul Castro-shot down two Brothers to the Rescue small unarmed aircraft in international airspace while they searched for refugees in international waters. Three U.S. citizens and one Florida resident were murdered. MAR has denounced the increase in prostitution and sexual abuse of Cuban children resulting from the rise of tourism to the island. She has testified before the U.S. Congress, Inter-American Commission on Human Rights, and has been widely quoted. Ileana Fuentes (Havana, 1948) arrived in the U.S. as a Pedro Pan Operation unaccompanied minor in 1961. She holds a B.A. in History from Fordham University, and a Certificate in Women's Leadership from Rutgers University's Hispanic Women Leadership Program, and pursued graduate work in education and women studies. An expert in Cuban exile culture and art, she directed a major émigré art and literature project - Outside Cuba/Fuera de Cuba- between 1985 and 1989 from her post as director of Hispanic Arts at the Rutgers University’s Mason Gross School of the Arts. Fuentes is an expert on race, gender and women's history. Founder of Red Feminista Cubana in 2003, she is a tireless advocate for women's human rights in Cuba (and elsewhere). 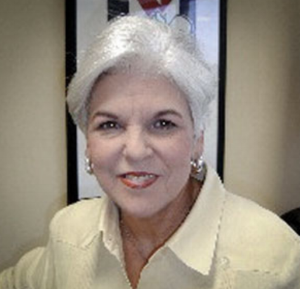 During its early days, Fuentes coordinated assistance for the Ladies in White; served as guest panelist for over 20 years in both Radio and TV Marti programs; coordinated projects in women's self-employment and democracy-building inside Cuba; and has written for 25 years countless opinion pieces for El Nuevo Herald, Diario Las Americas, Cuba Encuentro, encuentroenlared, and Diario de Cuba. Fuentes' writings are included in several anthologies, and she is the author of Cuba sin caudillos: Un enfoque feminista para el siglo 21 (Princeton: Linden Lane Press, 1994), Dengue: La epidemia secreta de Fidel Castro (co-authored with Dr. Dessy Mendoza. Washington DC: CFC Publications, 2000), and co-author of Outside Cuba/Fuera de Cuba: Artistas cubanos contemporáneos (published jointly by Rutgers and University of Miami, 1989). At present, she serves as consultant to the Cuban Museum: Museum of the Cuban Diaspora, in Miami, Florida. Activist and Director of State de SATS, a forum created in 2010 by a group of young artists, intellectuals, and professionals to encourage debate about social, cultural, and political issues in Cuba. Mr. Rodiles, who resides in Havana, is one of the coordinators of the Forum for the Rights and Freedoms. Mr. Rodiles holds a master’s degree in Mathematics from Florida State University and was a Ph.D. candidate in Physics at the National Autonomous University of Mexico. He has been arrested and beaten several times by Cuba’s political police. Counsel: Mr. Filiberto Agusti, Esq. An ardent advocate of freedom in Cuba, Manuel Jorge Cutillas became chairman of the Center for a Free Cuba in 1997 and served 16 years until his death. He was the great-great-grandson of Don Facundo Bacardí, who established the rum distillery that bears the family name. Like many Cubans, Mr. Cutillas had hoped the 1959 Castro Revolution would bring peace and prosperity to island, following the despotic dictatorship of Fulgencio Batista. It quickly became apparent that it would not. On Oct.14, 1960, Mr. Cutillas awoke in Santiago to news that the Castro government, without paying compensation, had confiscated the Bacardífamily’s assets. Mr. Cutillas journeyed to Havana to seeking permission to leave the country. The government responded by seizing his passport. So, he did what others were doing: boarded a boat and left anyway. After six days of rough seas, he arrived in Miami. Eventually he and his family settled in The Bahamas where Bacardí & Company Ltd. established its headquarters. He spent 45 years with the company. A philanthropist and humanitarian, Mr. Cutillas served as President and Chairman of the Lyford Cay Foundation, an organization that provides college scholarships to Bahamian students. Renowned for his can-do and optimistic disposition, Mr. Cutillas was personally committed to “excellence and the entrepreneurial spirit.” An innate consensus builder, he continues to be an inspiration at the Center for a Free Cuba. Human rights and women's rights activist, feminist, suffragist, social reformer, wife and mother Elena Inés Mederos was above all a committed leader for freedom and progress in Cuba. Ms. Mederos founded several organizations including the School of Social Services at the University of Havana and the Foundation for Social Services, which developed programs for children's organizations in Cuba. She was a co-founder of the Alianza Nacional Feminista, a suffragist organization active in Cuba during the 1920s. 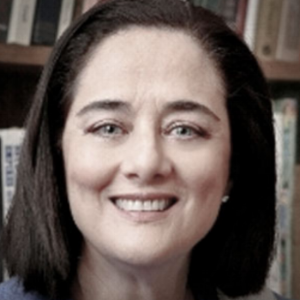 Ms. Mederos served as Minister of Social Work in the first Fidel Castro government and resigned months after her appointment citing differences over its non-democratic direction. In 1961 at age 61 Ms. Mederos came to the United States after being active in Cuba in the opposition to the Castro Government. She joined UNICEF where she distinguished herself in multiple senior roles. In 1975, jointly with Frank Calzon, Ms Mederos funded Of Human Rights, the predecessor to the Center For A Free Cuba and a pioneer in documenting the plight of Cuban dissidents. In its advocacy for human right and in its focus on Cuban political prisoners Of Human Rights was central in elevating this question in important public forums the US and abroad. Ms. Mederos inspiration to all associated with the Center for a Free Cuba guides our work to this day. William C. Doherty, one of the founders of the Center for a Free Cuba in 1997, served on its Board of Trustees until his passing in 2011. A strong advocate of civil rights, labor unions, and worker rights, he opposed dictatorships of all persuasions throughout Latin America. Mr. Doherty directed the AFL-CIO’s outreach to trade unions in Latin America for 35 years as executive director of the American Institute for Free Labor Development. Mr. Doherty was born in Kentucky and studied diplomacy and law at Georgetown University. In his student days, he was a defensive lineman in Catholic University’s football team. During World War II, he served as an aerial photographer in Europe with the Army Air Forces, and at the end of the War, according to the Washington Post, “he worked in Germany to help rebuild trade unions there.” An early supporter of the revolt against Fulgencio Batista in Cuba, he denounced Fidel Castro’s turn towards Marxism as “the betrayal of the revolution.” During his years as a Trustee, he explained that the United States was not at war with the Cuban people, but that Americans support the desire for freedom, human rights, and multiparty elections which the Cuban revolution promised while fighting against the old regime. Dr. Irving Louis Horowitz was Hannah Arendt University Professor Emeritus of Sociology and Political Science at Rutgers University. Together with a small group of intellectuals, business leaders, and Cuban-American civic leaders, he helped found the Center for a Free Cuba, serving on its Research Council until his death in 2012. A noted scholar, sociologist, publisher, and author, he called attention to the Stalinist nature of Cuba’s revolutionary experiment in the early stages of the revolution. In his many books, including the nine editions of Cuban Communism, and in his journal, Transaction, he shed light on the nature of tyrannical rule in Cuba and elsewhere. For him, those living in freedom, especially intellectuals, had a moral duty to help bring to an end everywhere the persecution of writers, poets, professors, workers and peasants. Jeane J. Kirkpatrick was one of the founding members of the Center for a Free Cuba with the goal to oppose “the Marxist military junta in Havana and to help Cubans attain their God-given human rights.” Professor Kirkpatrick taught Political Science at Georgetown University and as a close friend of Senators Daniel Patrick Moynihan (Democrat, New York), Hubert Humphrey (Democrat, Minnesota), and Henry M. Jackson (Democrat, Washington) was involved in American politics. She was very much supportive of the American labor movement and the AFL-CIO’s efforts to promote labor rights around the world. She became an advisor to then-Presidential candidate Ronald Reagan, and after his election she was appointed United States Ambassador to the United Nations, while also serving on the National Security Council. A well-known scholar, Dr. Kirkpatrick wrote many books, essays, and participated in numerous conferences and panel discussions. She travelled widely around the world meeting with numerous foreign ministers and heads of state.